Have You Written A Song You Want To Share With Other Churches? We are each born to be creative – after all, we were created by THE author of Creativity. Many of us are creating amazing songs for the Church…and they will never be heard. The right moments of opportunities don’t appear to place the songs in front of the right person for the right publicity deal…yet these songs exist. The truth is, churches who are starving for great songs exist, too. Here’s where we’d like to change the dynamic. 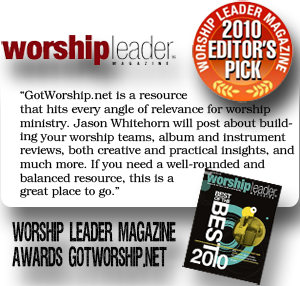 Each month, we’d like to create a list of the top ten songs written by YOU, the worship songwriters of the world. We will accept your demos and fully – produced songs via submission and allow our members to vote on them during the month. The best of those will be remain on our site as the “New Song Reviews for the Month of ____________” and promoted to our list of churches. No strings…there is no publishing deal…we simply want to connect the church writers to the churches. We do ask one simple exception: if you post a song there, you agree to allow churches to USE your songs in their churches and provide a lyric sheet, chord chart, and mp3 of the song. (please ensure that the song is written solely by you or that you have permission to post if co-written).